She's just a country girl who loves her dog. 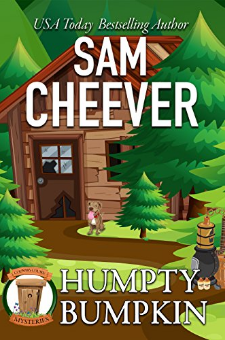 But her life is about to get less countrified and more...erm...homicide.Deer Hollow is a small community built in a verdant, rolling countryside. The nearest big city is over an hour away and big city ways are rejected at the Hollow. Unfortunately, the big city isn’t the only place where bad things can happen. Things like murder…which has a funny way of messin’ up a debutante’s day and turning a sunny Sunday in June right over onto its bucolic head.